During the coldest and darkest time of the year, everybody needs more and more Christmas spirit. With a huge tree in every houses, some roasted chestnuts, a delicate and sugared smell of cinnamon and a bunch of hot chocolate mugs. 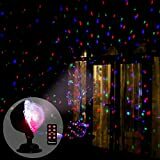 But if there is something that everyone (children and grown ups all together) are expecting since the very first day of Fall, it’s of course the wonderful laser Christmas lights. They are the one who will really give a taste of Christmas to every home ! Brightly colored and breathtaking, they will amaze everybody in the streets. And in the house. Do you imagine reading a Christmas tale to your child while the lights are shining outside ? Or eating some biscuits you just baked while staring at the colored stars by the window ? No Christmas eve could be more magical ! 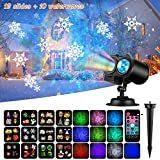 Snowflakes, snowmen, red and green stars ; your house will be the most wonderful in town, thanks to the Laser Christmas Lights ! And there is no way that Santa could miss it during his very busy Christmas trip ! We can actually bet that he himself has never seen more amazing christmas decorations ! And there are chances he’ll stay for an eggnog and some cookies too ! So, don’t be a Grinch this Christmas. Do not hesitate to give joy and dream to the world (Santa included !) this year : just buy some fantastic Laser Christmas Lights and cover your house of shiny decorations ! No more garlands to unravel before and after the party. This is so simple and so quick ! Finally, we’re done with tons of cartons to stock everything ! And no more danger to put them on the roof or on the highest place of the house. 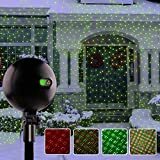 With our laser, decorating the house, the garden or the balcony will be so easy ! There is no way you can refuse to have the most fabulous house this Christmas ! All you have to do is to connect the machine, put if on the floor or on a furniture and turn it to the place you want to decorate and… let it shine ! And believe us, if there is one person who will finally win the Christmas lights contest this year, it will be you ! 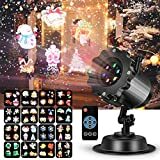 No one will be able to stop watching your house after the last sunshine … The illumination will be so beautiful, so incredible that your neighbors will believe the have an Elf in town ! And if the snow decides to join the show, that will be a true Christmas Fairytale ! Because at Christmas, Magic is everywhere. Beginning to your Home sweet home. So, will you welcome some Christmas Joy during the most wonderful time of the year ?